Do you know that I'm writing this post during lunch time at my office? lolol. Ichikami merupakan merek produk perawatan rambut dengan kualitas yang sesuai dengan rambut wanita Jepang dan Asia pada umumnya. Mengandung ekstrak tumbuhan alami terpilih, kandungannya akan meresap ke dalam rambut secara menyeluruh sehingga memperindah dan memperkuat rambutmu. 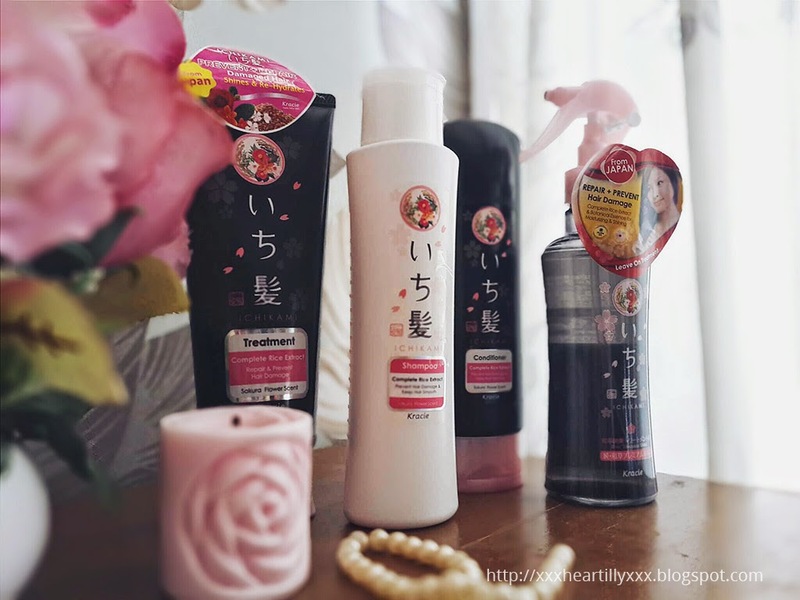 Ichikami is a series of hair care products with quality that is suitable for most Japanese and Asian women. Contains selected natural plant extracts, the formula will seep into the hair thoroughly to beautify and strengthen hair. 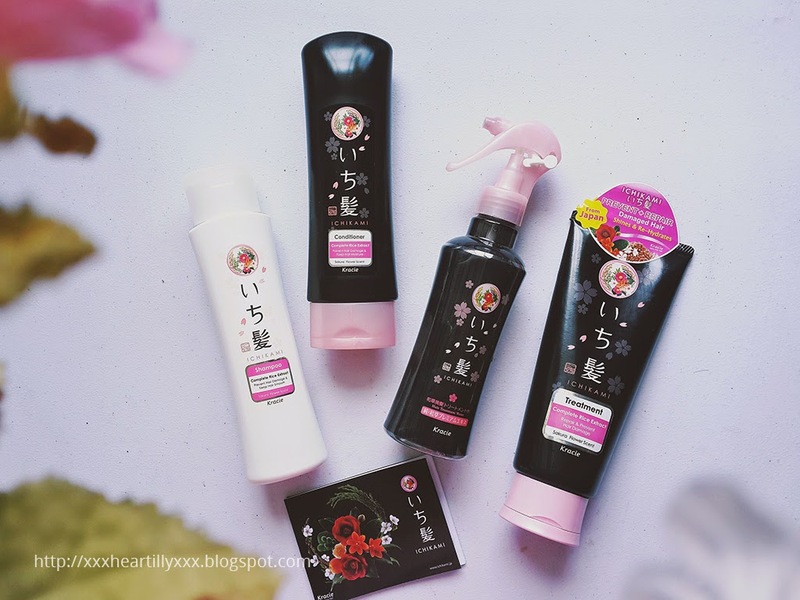 All of them are packaged in a Sakura-themed packaging design with combination of black and pink, which is cute. Shampoo, conditioner and in bath treatment come with flip-top caps while the Water Treatment comes with spray pump. As for myself, my hair isn't damaged but it's dry especially at the ends, with very oily scalp. I cannot skip shampoo even for a day. I wash my hair in the morning everyday and at the end of the day it becomes very greasy to the point that my bangs stick on my forehead, just eww.. Can you imagine if I skip shampoo in the next day? No one wants to be near me la. But on the other hand washing my hair everyday has caused my hair to be even drier and sometimes it's just super megar and looks just bad. I'm a firm believer in quality of Japanese product, so I have a high expectation on this. I've been using these for the past 2 weeks and here's what I think about. Let's take a closer look on each product, shall we? 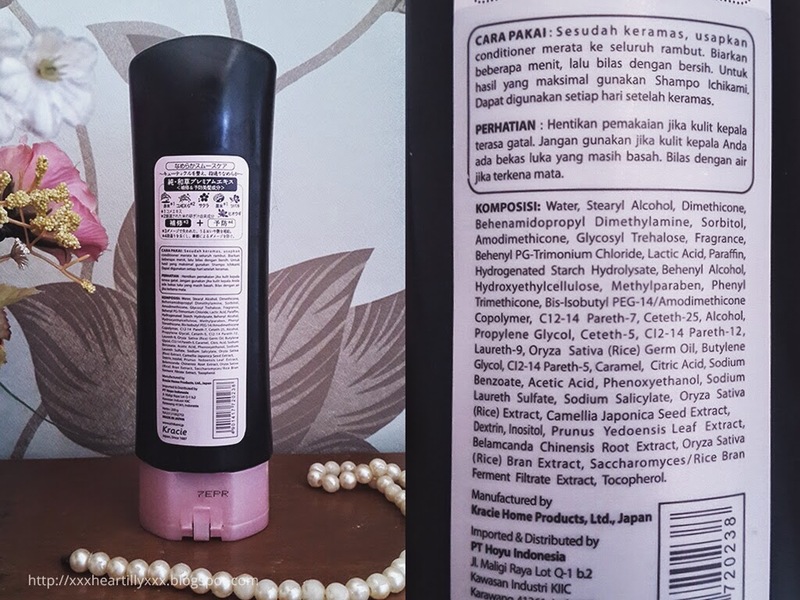 Ichikami Shampoo membantu melindungi dan merawat rambut dari kerusakan sehingga tetap kuat dan sehat. Ichikami Shampoo helps to treat and protect the hair from damage to keep it strong and healthy. 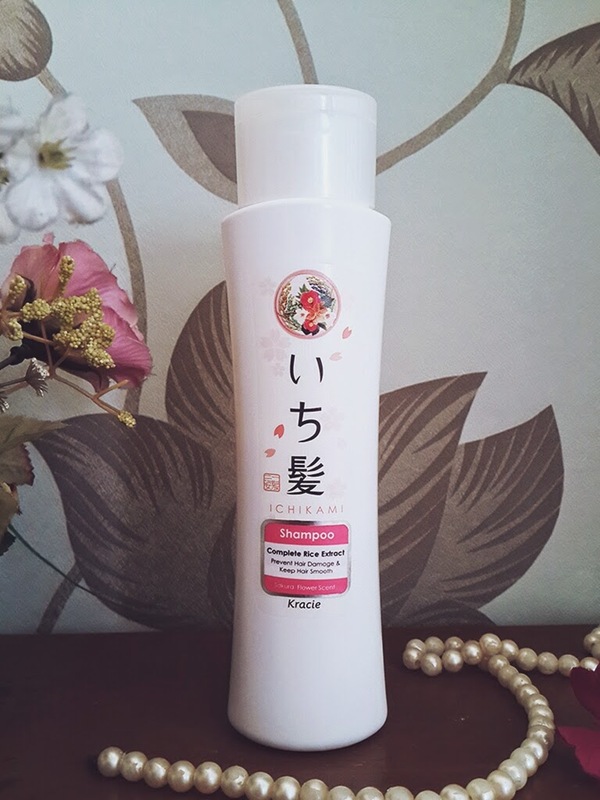 Ichikami Shampoo is packaged in a white bottle, making it easy to spot on and differentiate from other products in Ichikami range Best thing about this shampoo is : it is formulated without Silicone and Sodium Lauryl Sulfate (SLS). I've been avoiding these 2 ingredients for a while and I'm glad that Ichikami is Silicone and Sulfate free. Just a quick information, silicone is a chemical substance that gives hair the 'soft' and 'tangle free' feeling after shampooing, however it's not good for scalp because it basically 'coats' the scalp so the residue will build up and in the end will lead to many hair problems. Sulfate is what makes our shampoo foamy and bubbly, but it's basically ripping off the natural moisture and oils from our hair. Sulfate-based shampoo also makes hair color fades quickly. 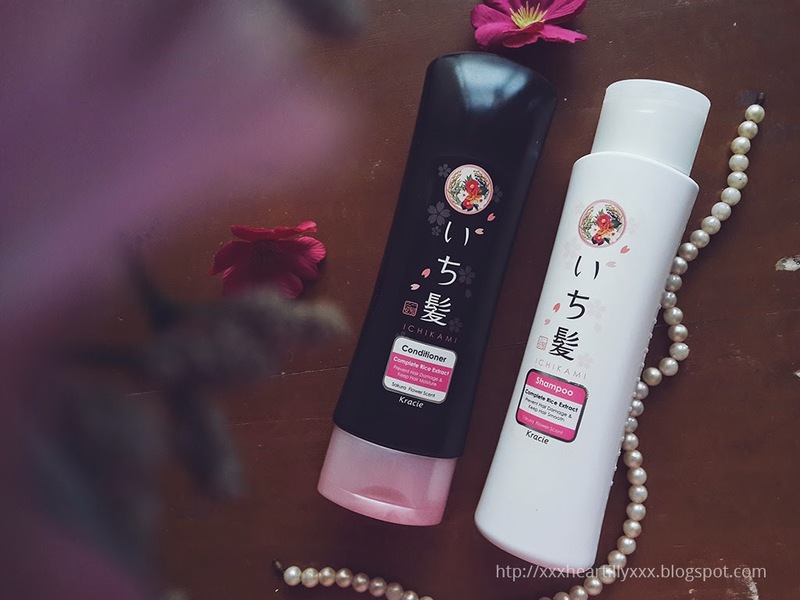 Ichikami shampoo has lighter texture compared to most shampoos we usually know, it also doesn't produce much foam. It has very sweet, yet mild fragrance of Sakura, which I love because the scent is kind of calming, not too overwhelming tho. 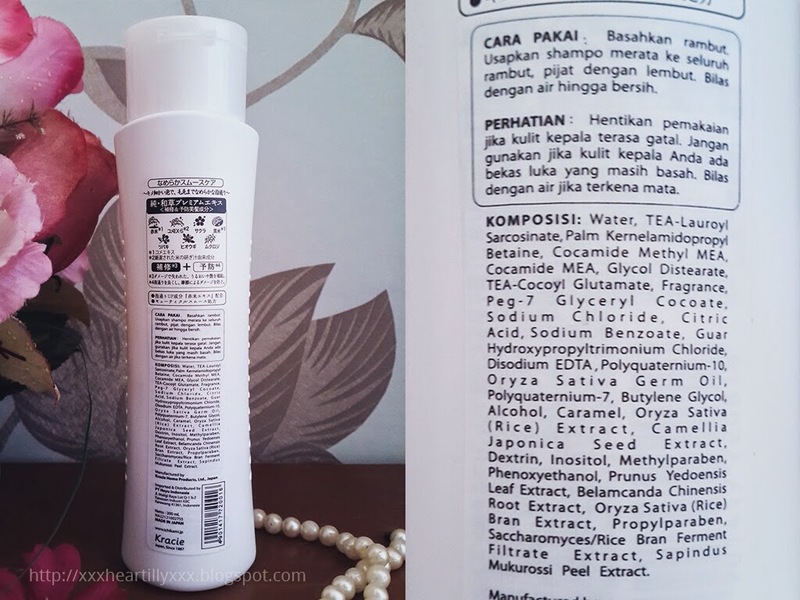 Ichikami Conditioner membantu melindungi dan melembutkan rambut, serta merawat rambut sehingga tetap lembut dan sehat. 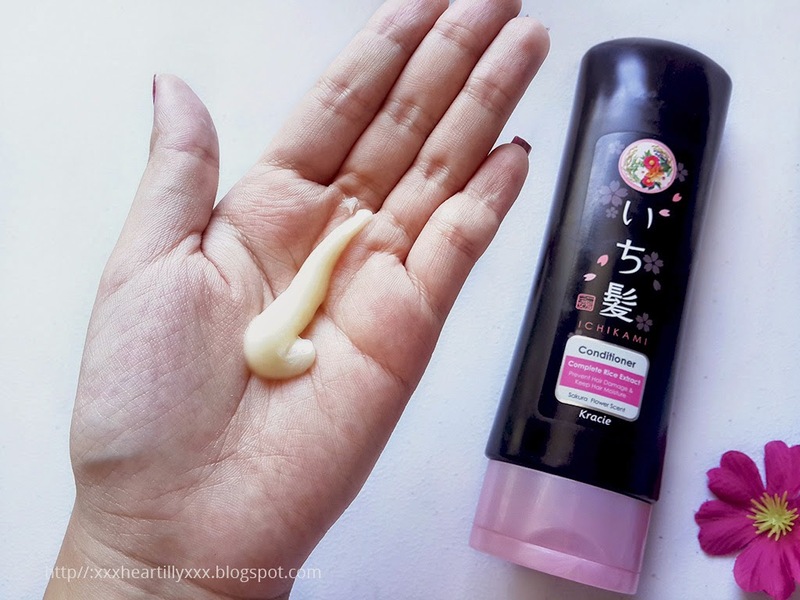 Ichikami Conditioner helps to protect and soften the hair, also helps to treat the hair so it would stay soft and healthy. 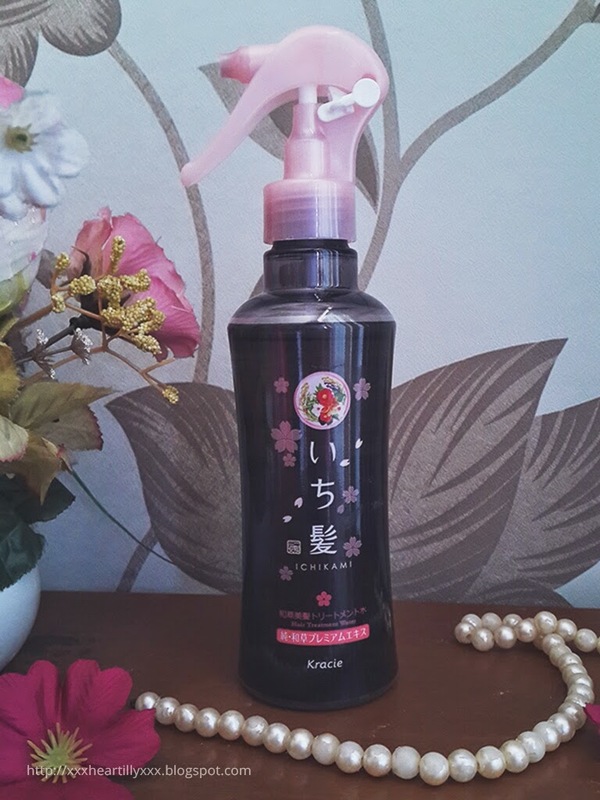 Ichikami Conditioner is packaged in a sleek black bottle with pink cap on the bottom. 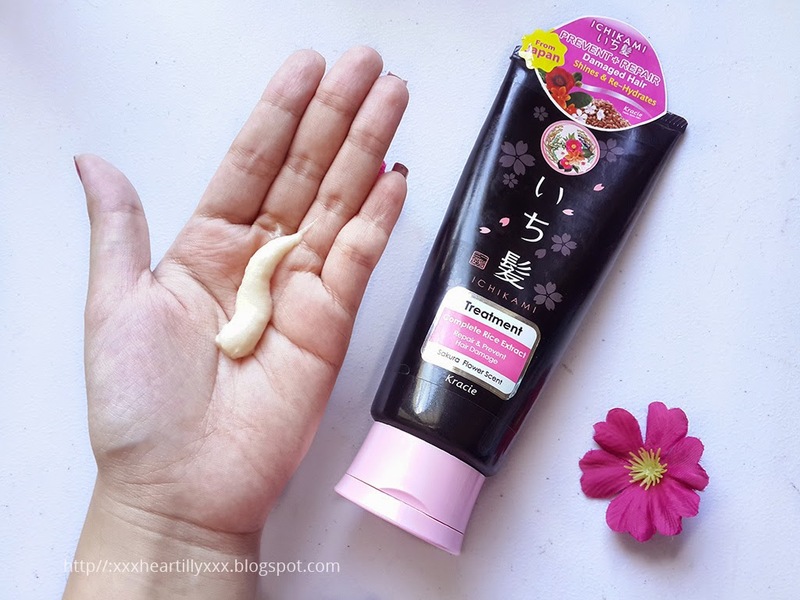 It has thick texture like regular conditioner and stronger Sakura fragrance. I pat my hair using towel after I wash my hair and apply this conditioner afterwards. I leave the conditioner for 3 or 5 minutes and then I rinse it off. The result is impressive, my hair becomes a lot softer and more manageable, I love to touch my hair and run my fingers through it because it's so soft! Ever since I got this conditioner, I've been using it everyday along with Ichikami shampoo, because they're amazing when combined together. The conditioner, however, contains silicone. I don't know much chemical stuff but silicone in hair products is like a double-edged sword, it has its own advantages and disadvantages. I personally do not avoid silicone in conditioner because that's what makes our hair feels soft and silky after using it, but I do avoid it in my shampoo like I said earlier. Ichikami Hair Treatment : membantu merawat kekuatan rambut dari kerusakan yang kompleks akibat sinar matahari, kurang tidur, stress, gesekan ketika menyisir dan pewarnaan rambut. Ichikami Hair Treatment helps to treat hair from complex damage due to sunlight, lack of sleep , stress , friction when combing, and hair coloring . 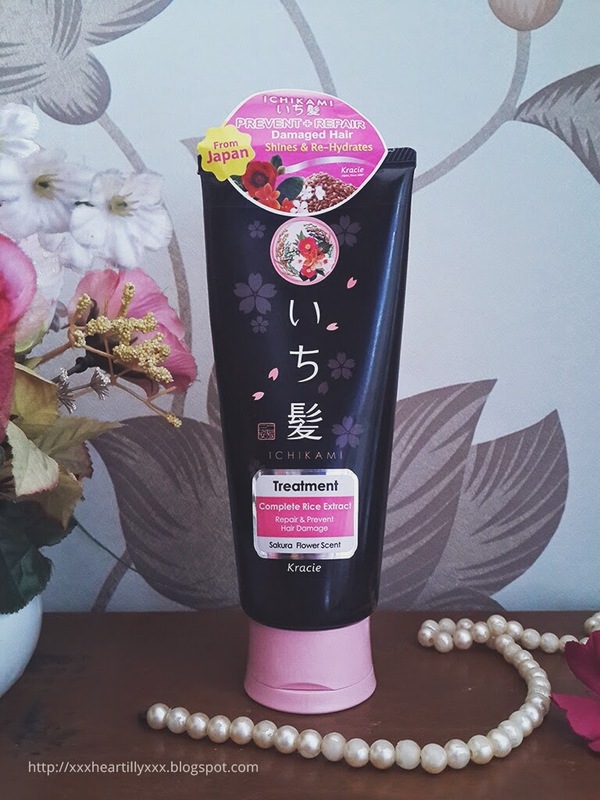 Unlike the other products, Ichikami Hair Treatment has a tube packaging. It is suggested to use this hair treatment for once or twice a week, so I use it only on weekend, or whenever I have more time than usual. Similar to the conditioner, I apply it on wet hair after shampooing, leave it for 10 or 15 minutes and then rinse thoroughly. The hair treatment has thick consistency that resembles a paste. It's very rich, concentrated, and looks like it's loaded with good nutrients inside. Among the three products, Hair Treatment is my favorite. One of the reason is because it has the strongest scent of Sakura, so the fragrance lingers on my hair better. I just can't stop sniffing my hair! Another reason is because it makes my hair super duper soft and sleek without making it even more greasy, and feels as light as a feather. I love it! Hair Treatment is actually a long-term investment, in short amount of time we might feel that it works just like a conditioner, but it actually helps to repair the hair from the inside, so long term usage is needed to see the maximum result. 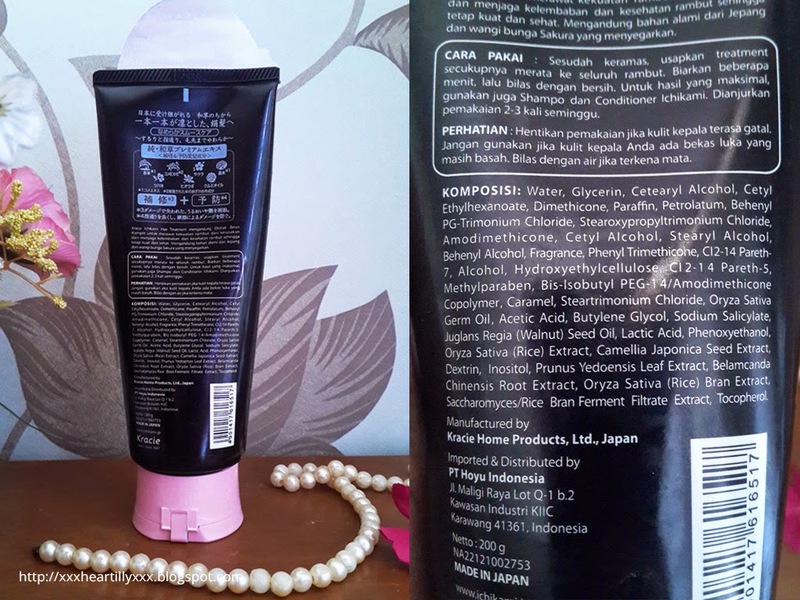 Ichikami Hair Treatment Water : membantu menjaga kelembaban rambut, memperbaiki kerusakan sekaligus mencegahnya dari kerusakan dan melindungi rambut dari sinar UV. Ekstrak beras dari Jepang menjadikan rambut terlihat berkilau sehat. Ichikami Water Treatment helps to maintain hair moisture, repair the damage, and at the same time prevent the hair from damage and protect it from UV rays. Japanese Rice extract makes hair look healthy & shiny. Ichikami Water Treatment comes in a spray bottle containing 200 ml of product which is quite a lot, so it would last long. Because it contains quite a lot of product, it's a bit bulky. 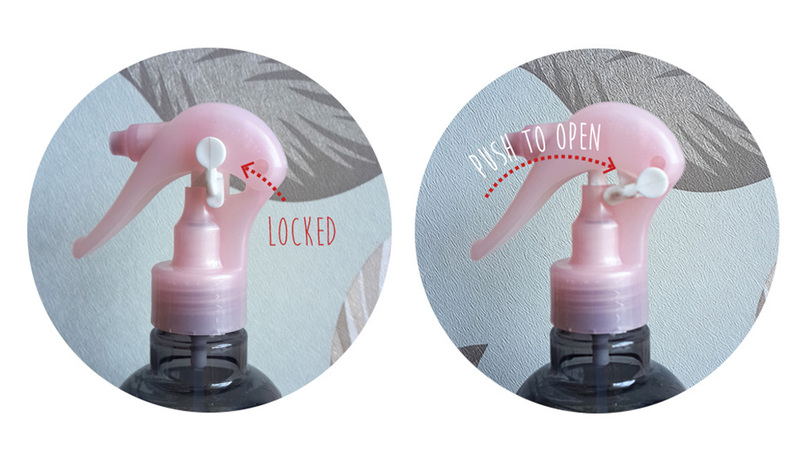 It comes with spray lock to prevent spilling and accidental spraying, making it secure enough to carry inside the bag. Just push the key to the right to unlock the spray, and otherwise to lock it again. 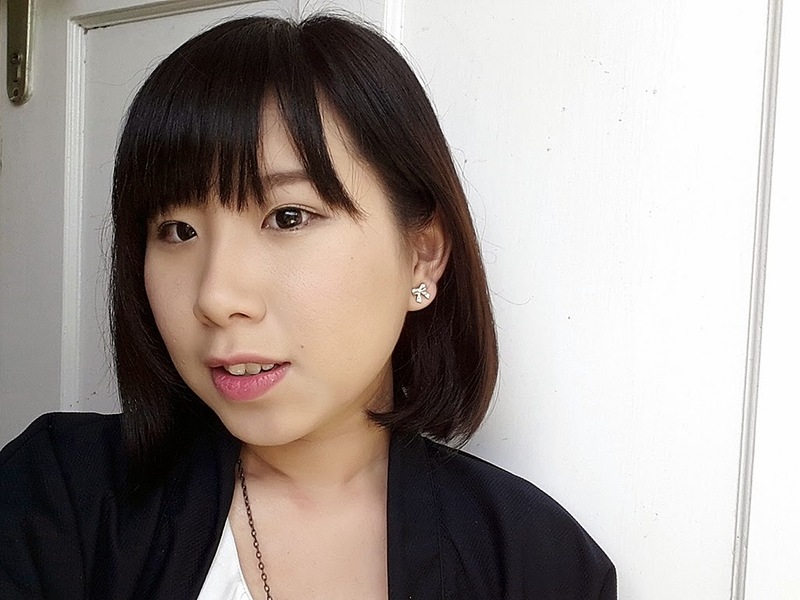 After 2 weeks of using the whole products of Ichikami series, I feel that my hair is a lot softer and more manageable without making it even more greasy. It's easy to comb through even using only fingers! My hair is naturally a bit wavy, and I cut it short, so sometimes my hair looks too 'volumized' which is not cool. Ichikami helps to 'tone down' the volume, making it look silky straight which I love. Bye tangled, frizzy lion hair! As for the repairing ability, my har is not damaged at the moment but I feel that Ichikami helps to maintain the condition. 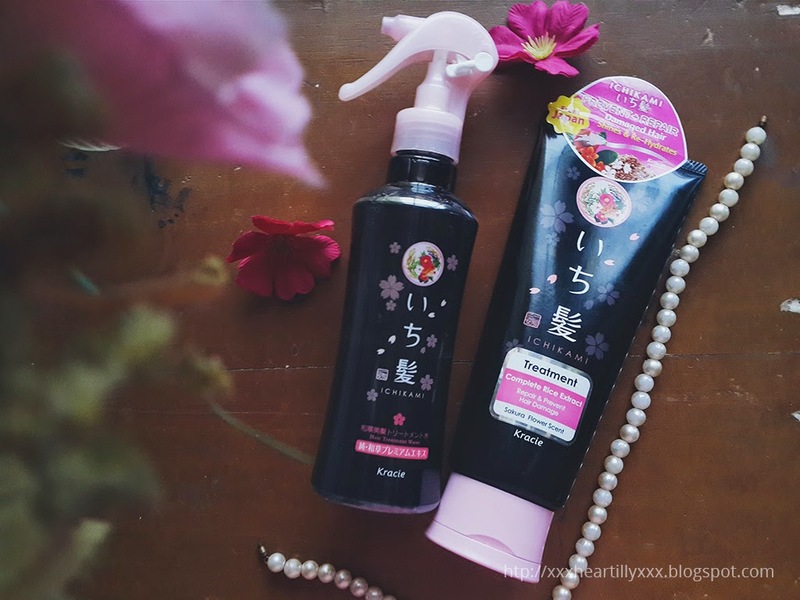 Ichikami products cost higher than usual shampoos we find in the market, but it's actually still in an affordable range (about IDR 40.000-100.000) for 200ml of products. Overall, I recommend this to you who wants to try Japanese hair products and for those with dry hair who are looking for daily hair treatment. 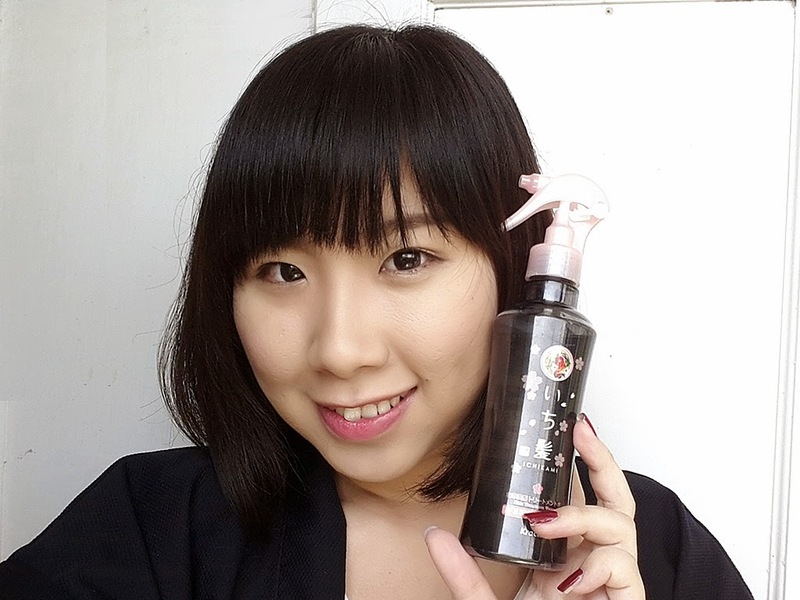 Thank you Kawaii Beauty Japan & Kracie for giving me an opportunity to try these products! Also, thank you for reading! See you next time! Very cool! Have a wonderful wednesday sweetie! Pake produk ini, kulit kepalanya msh berminyak g? Bisakah 2hari sekali shampoannya? So far ini gak membantu ngurangin produksi minyak di kulit kepalaku sih, tapi gak bikin tambah parah lepeknya juga. Kalo aku karena dasar kulit kepalanya minyakan banget, dengan shampoo ini atau bukan, tetep I can't skip shampooing at all. i have oily and hair.please give me suggest best shampoo? Really its too informative blog, thanks for sharing. 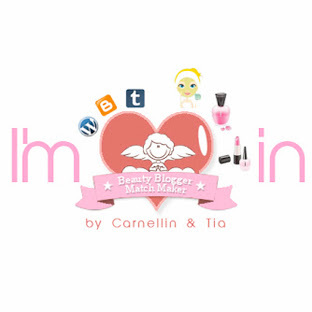 Canmake is now in Indonesia!